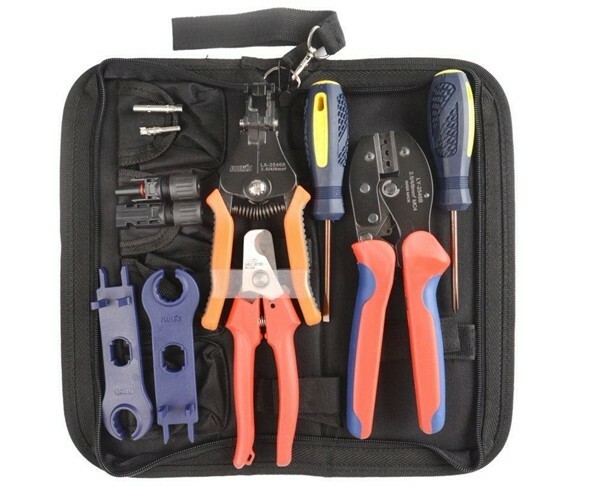 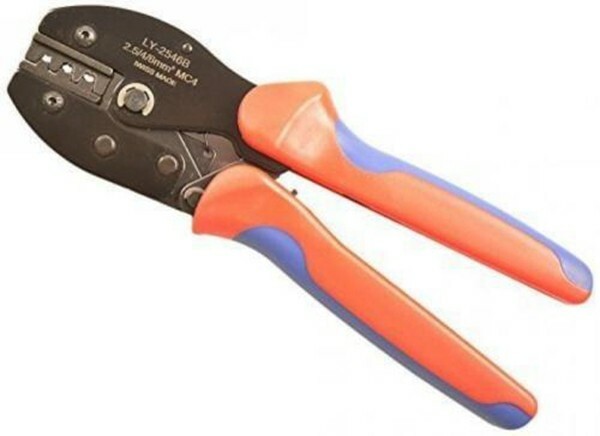 MC4 Crimping Tool Kit with Wire Cable Cutter, Stripper, MC4 Spanner and MC4 Connector. 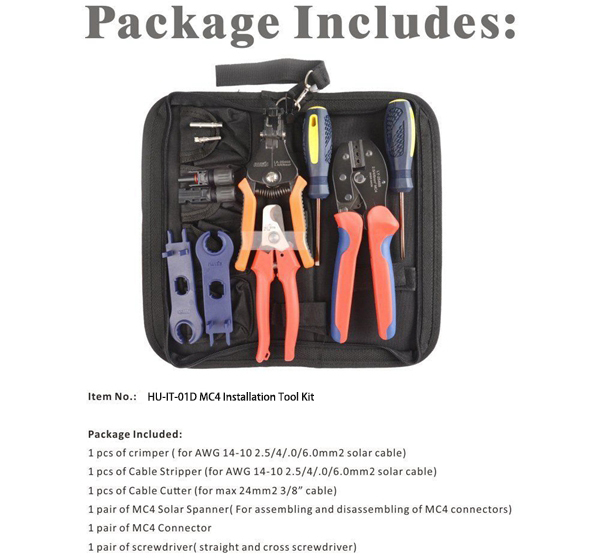 Why Honunity MC4 Solar Tool Kit? 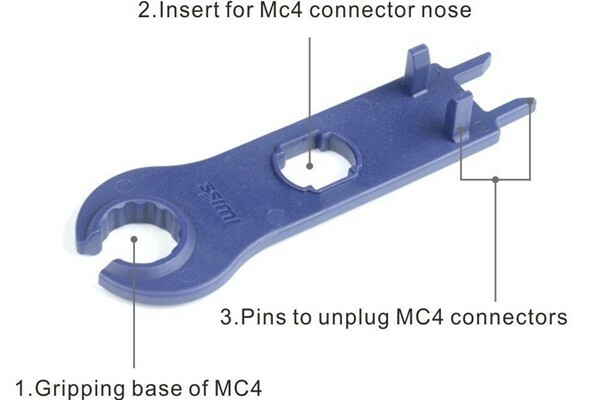 A complete tool kit to install MC4 solar connectors easily and accurately. 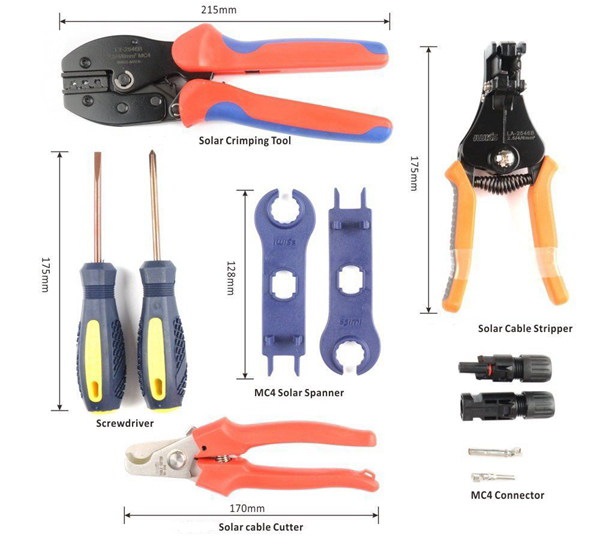 Solar cable stripper reliable to strip of double layer insulated cables (2.5 - 6mm²). 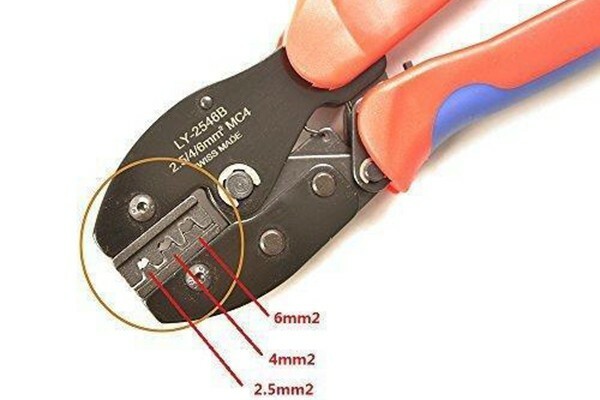 Cable Cutter with high leverage Jaw and shear blade for clean cut without damage. 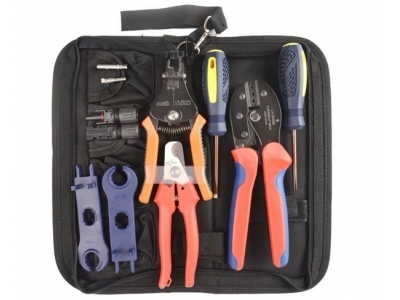 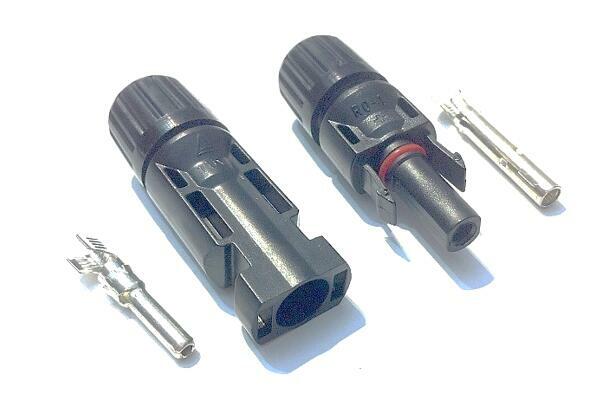 Includes 1 pair MC4 connector and 1 pair MC4 spanner to help you opening the locking device, securing and tightening the cable gland. 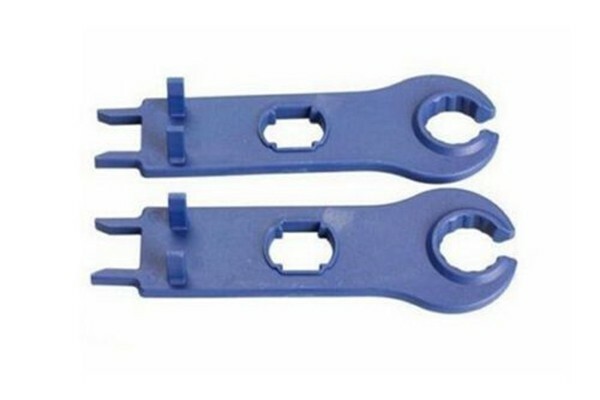 Dimension: 2.99 x 13.31 x 6.18 inchs., Weight: 3.4lbs.